Have you ever gotten so frustrated while playing video games….my friend playing Skyrim this Dalphene lady just doesn’t want to die. After googling her it said she is the inn keeper and breakfast is at 6am…..hmmm that explains it I think we were late for breakfast so guess wat they serving tomorrow morning ..human flesh o_O. This entry was posted in Uncategorized on September 26, 2013 by shaunjengel. 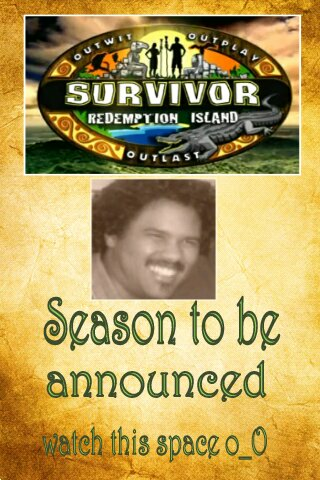 Do u have what it takes to win survivor? Can anyone really answer that question without really taking part….my answer No. I started following from about season 2. Whatever happened to that guy who won the first Survivor:Borneo. Last I heard he dodged the taxman bad move. Yeah thats me haha watch this space. The jury though they just make this game, those questions and comments can get really personal hey. Outwit Outplay Outlast…that is a motto for life that is why I love this show. If you from South Africa reading this post and have influence in the South African version of Survivor….here is a recommendation get the winner to compete in the US version – ultimate survivor challenge. If you are reading this post you are one in a million….ok make that a billion and no that’s not a bad thing. Read that again and see what is wrong with that sentence?????? Be yourself find your goals work hard and most of all enjoy life…seize the day for it is a gift. The greatest gift given to us from our FATHER. Blessed we are give thanks and appreciate life. This is not a preaching blogpost but to start this off right it has to be mentioned for our paths are laid out for us by our FATHER…life is about choices and that is what is great as we have the power, use your mind in a positive way. Let your light shine. CARPE DIEM – Seize the Day!! !